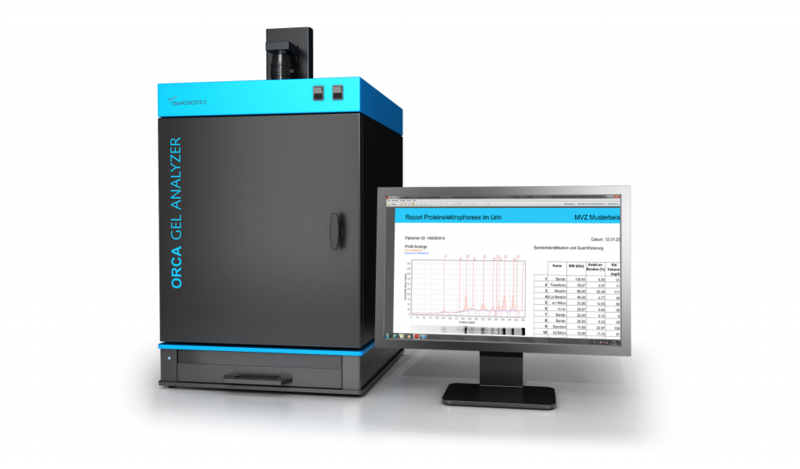 The ORCA Gel Analyzer provides massive time savings, reproducible results, independency from sample quality (e.g. difference of protein applied to the gel, differences in protein content), digital reporting and independency of the user. Up to 52 protein samples (max. 4 x 52 samples) are separated by the ORCA electrophoresis unit within 80 min. 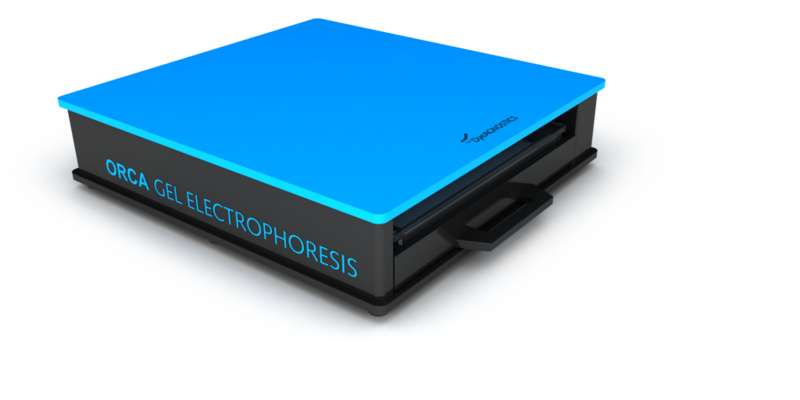 The stain-free, sensitive protein detection is performed by multiplex-fluorescence in less than 20 seconds. The digital data are than rapidly analyzed (e.g. quantification of protein lanes and bands, identification of bands, determination of Rf-values, gel to gel analysis etc..